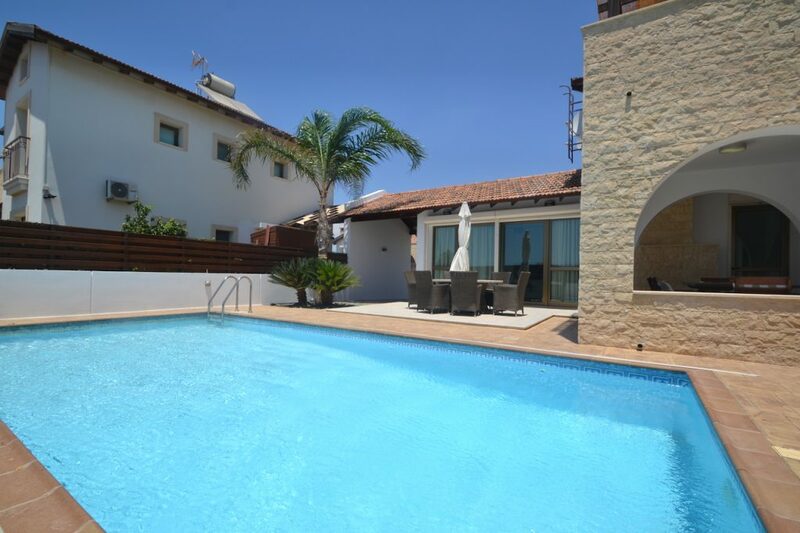 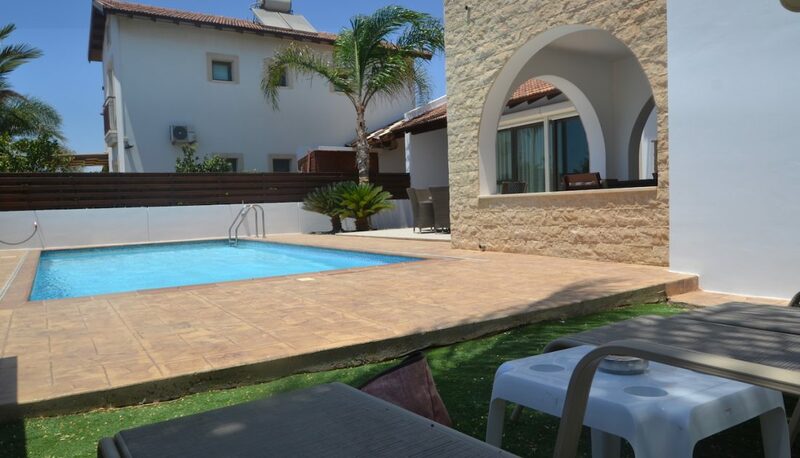 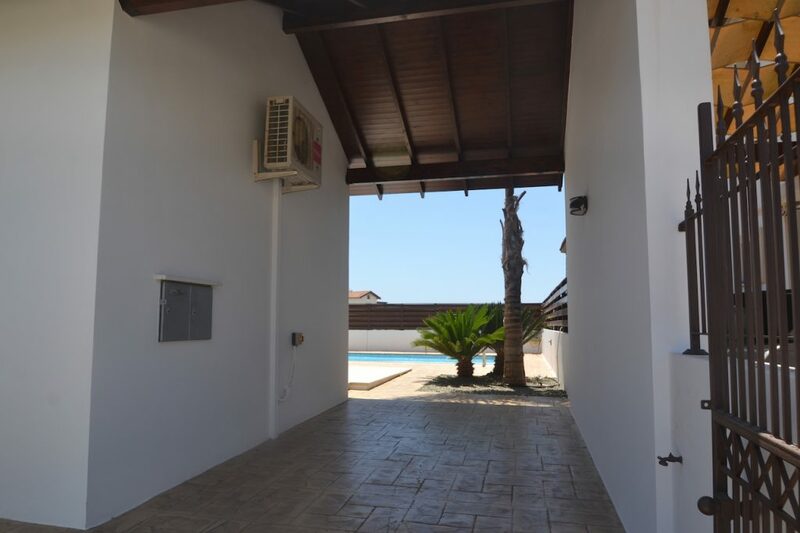 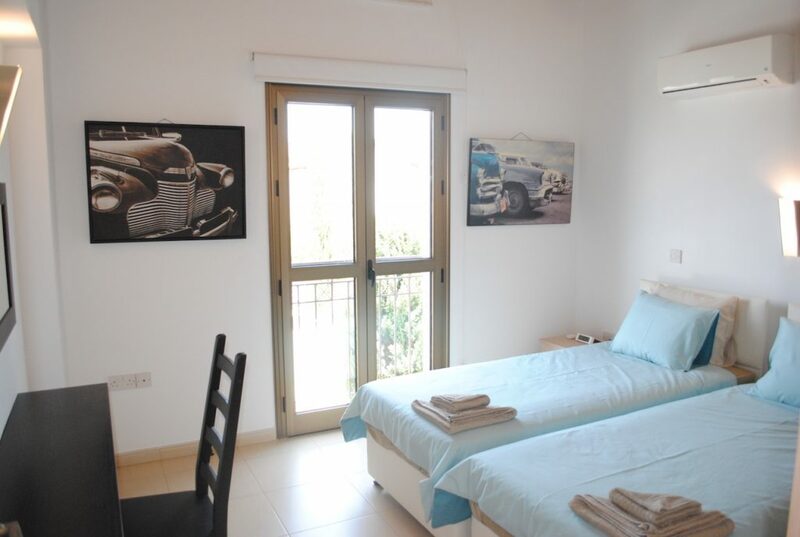 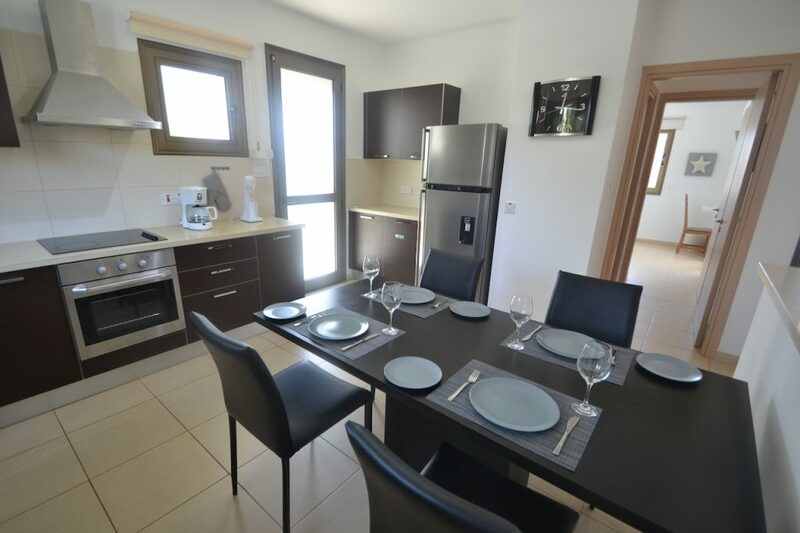 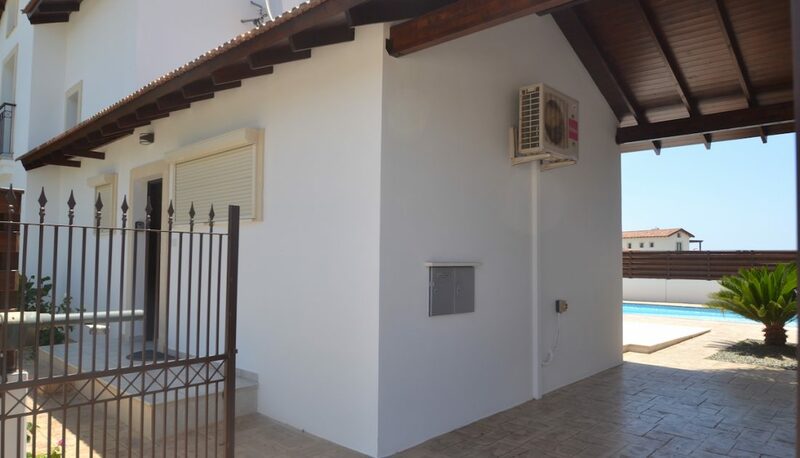 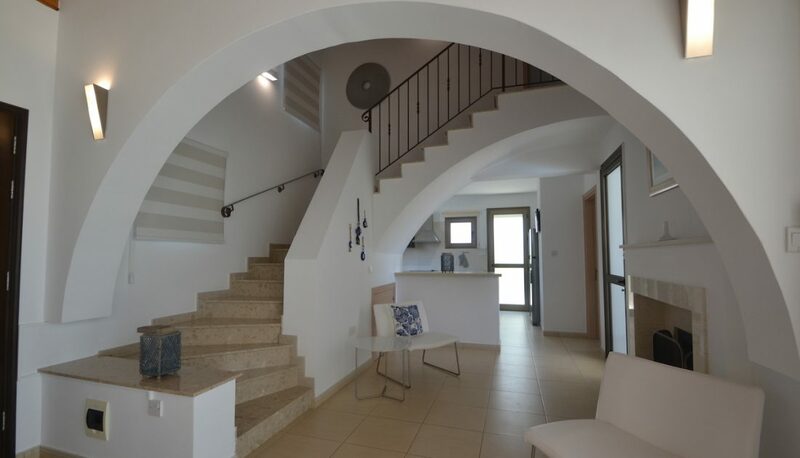 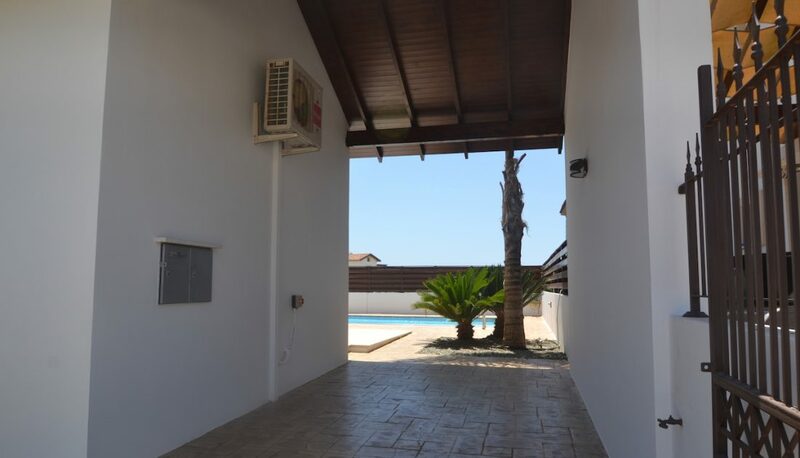 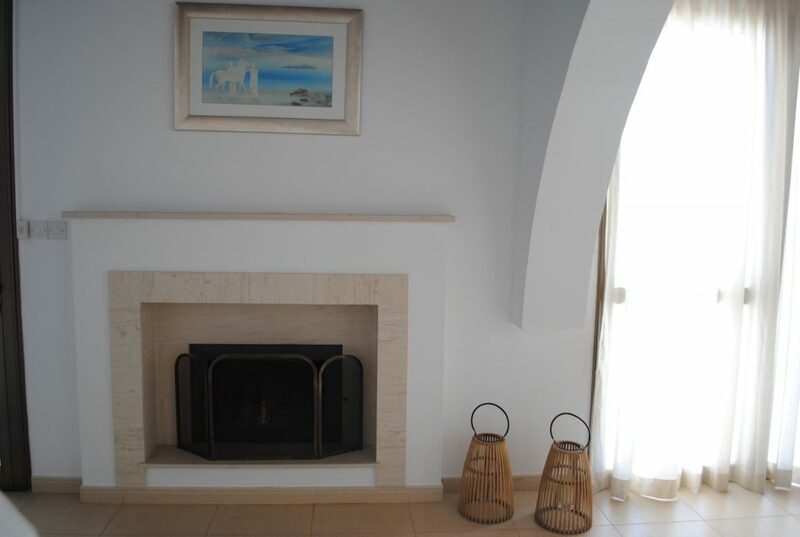 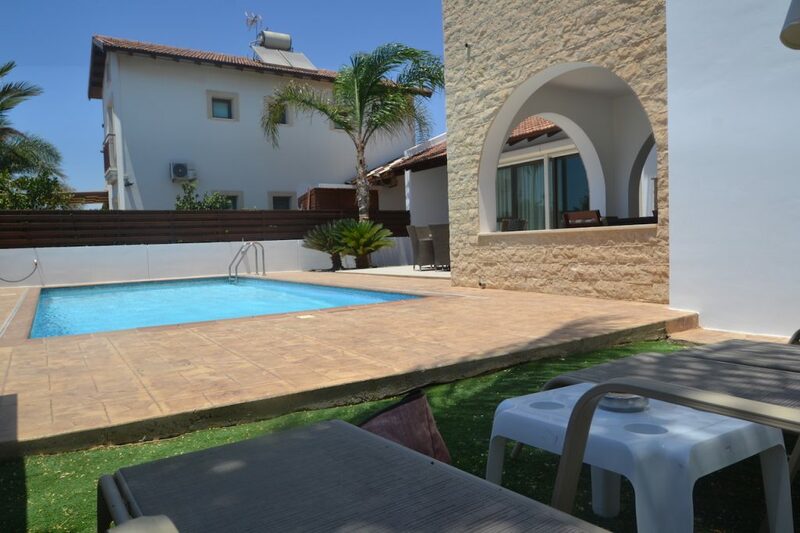 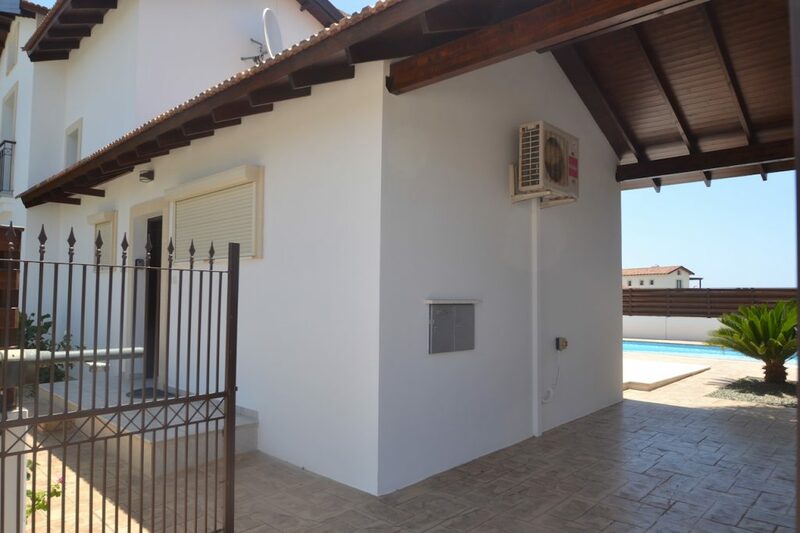 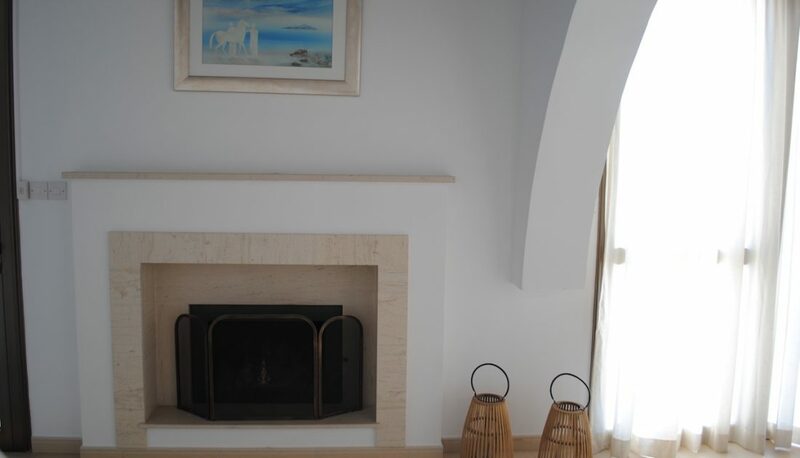 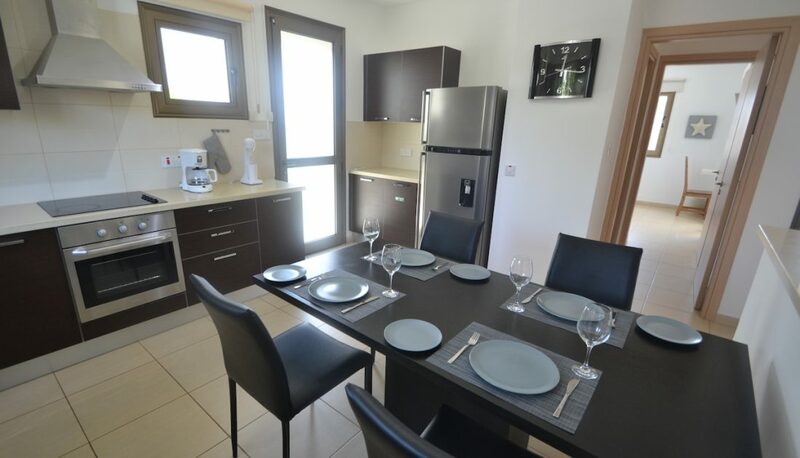 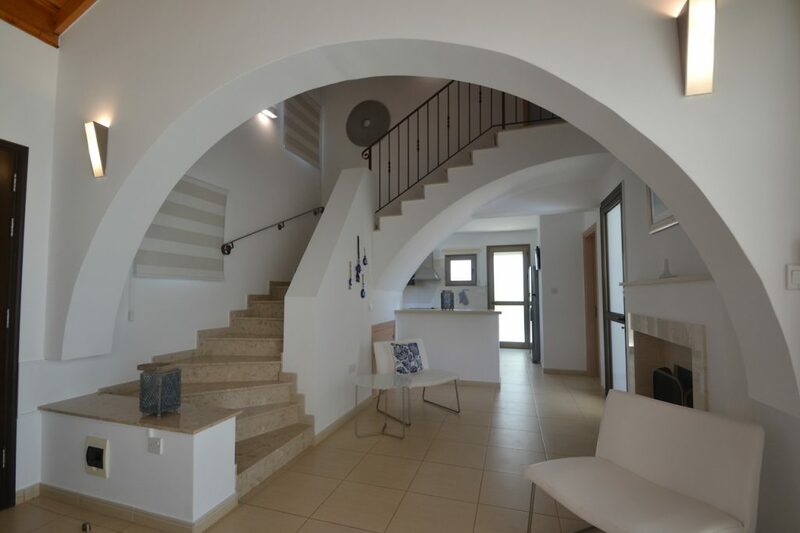 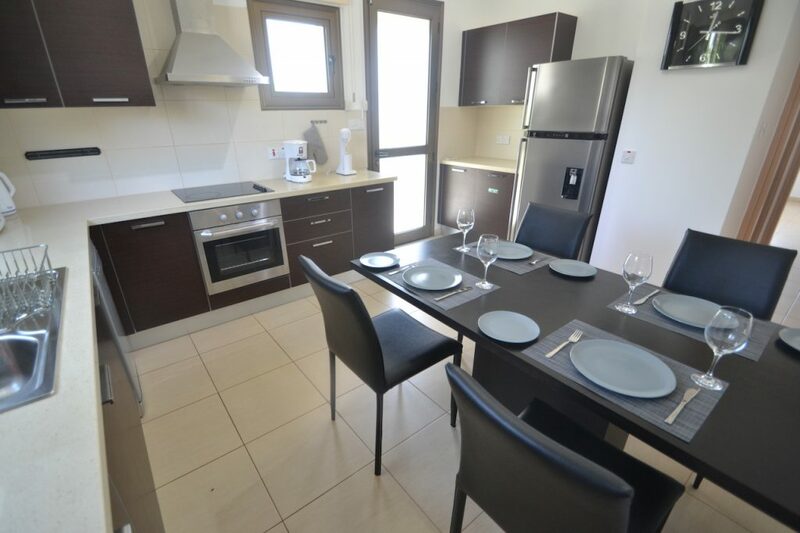 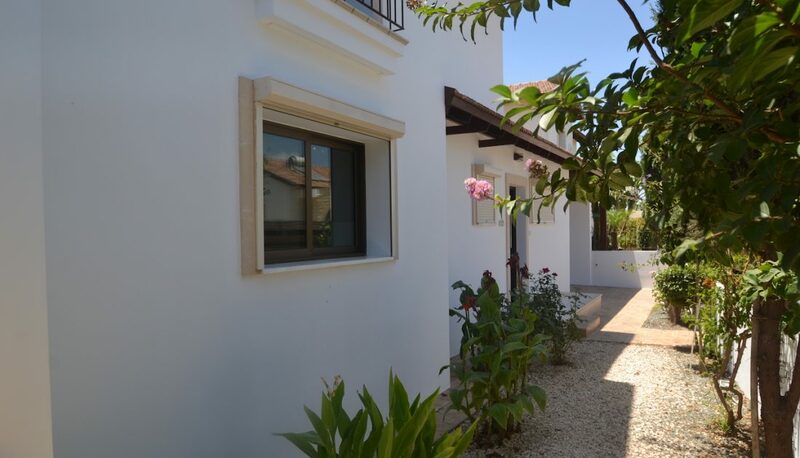 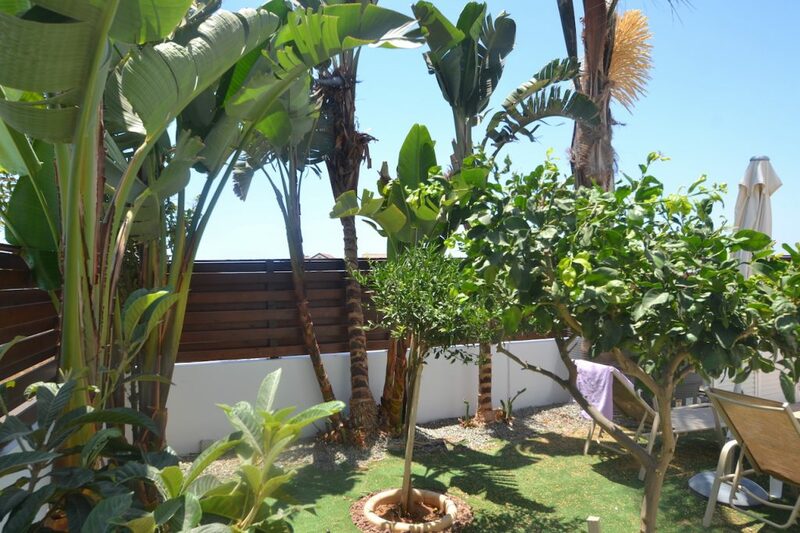 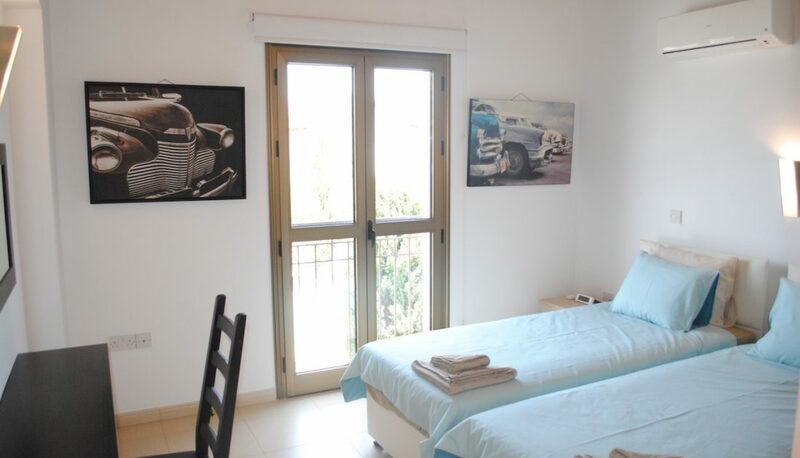 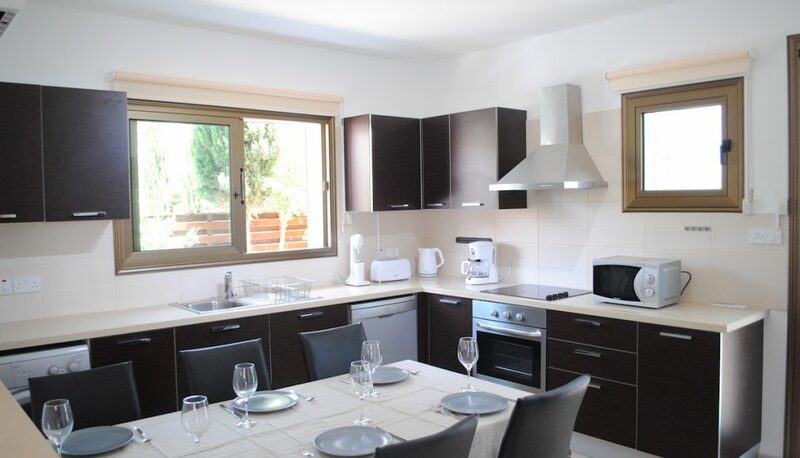 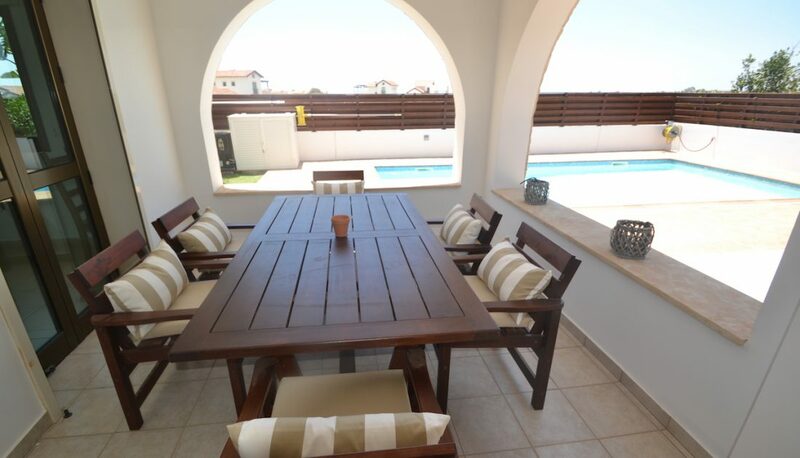 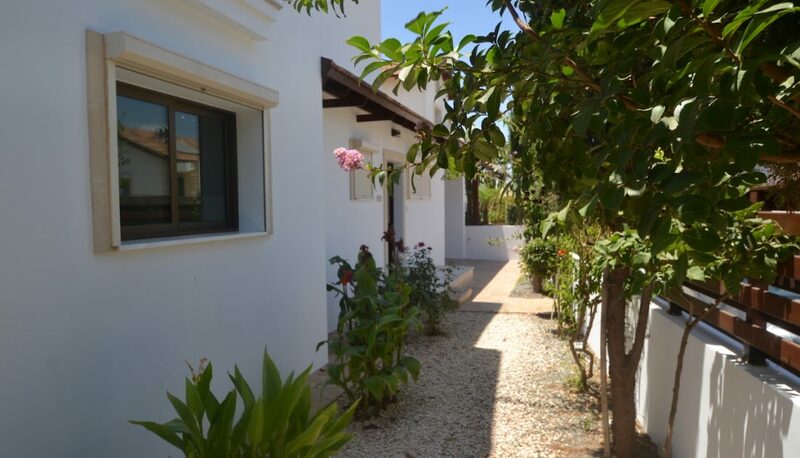 Set on a large private plot with off street garage parking NARCISSOS VILLA THEKLA is located in a quiet area in Ayia Thekla, on the outskirts of Ayia Napa and just few minutes’ drive to the well know Ayia Thekla beach and Nissi Beach. 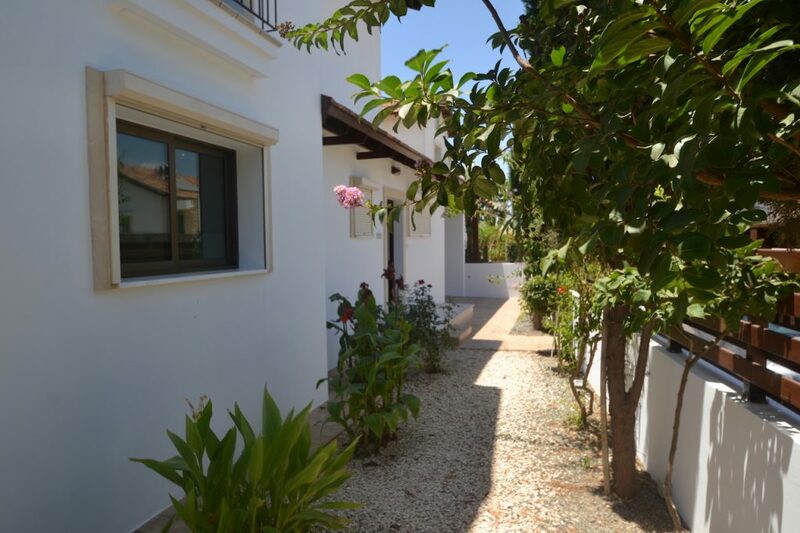 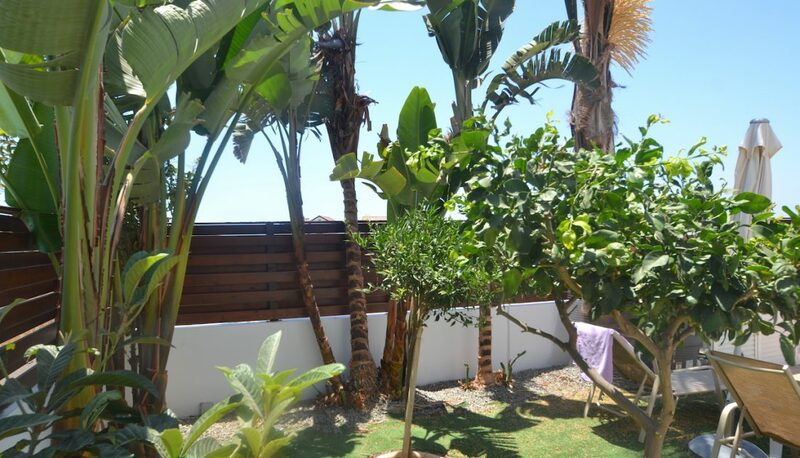 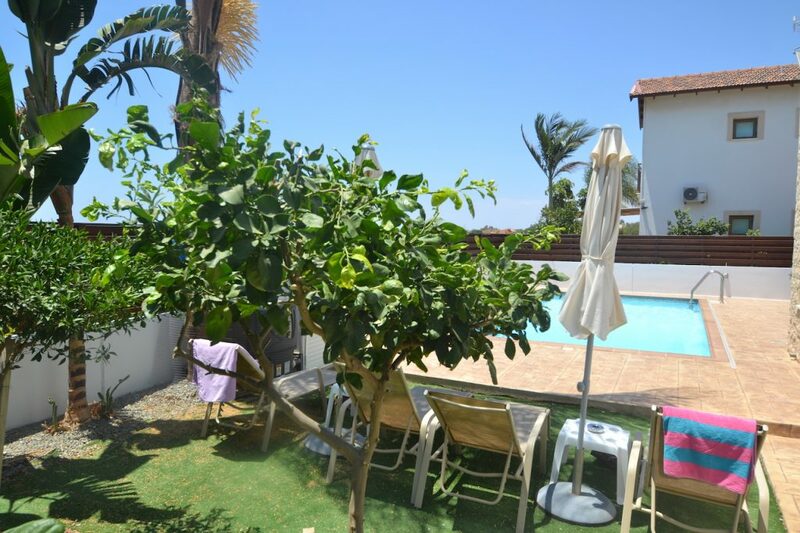 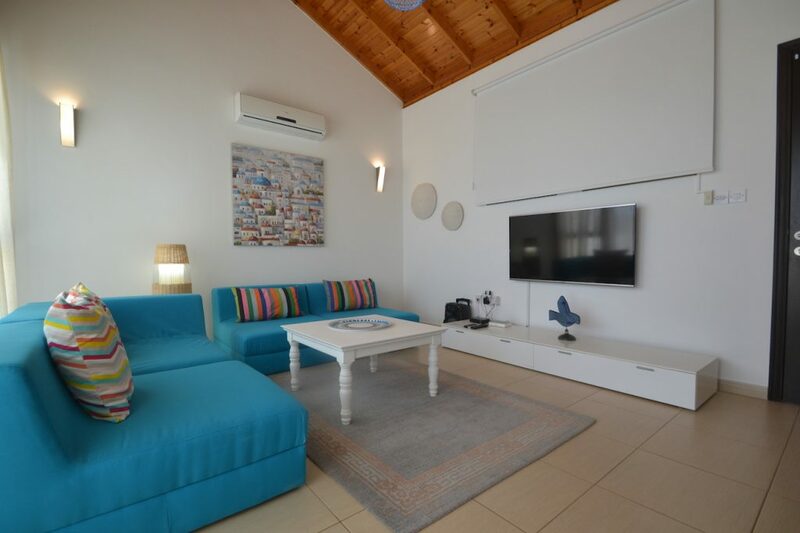 Just 400 metres from the beach this lovely 3-bedroom villa enjoys extensive garden and veranda areas and a good sized private swimming pool, ideal for those looking for a peaceful break under the sun and not only. 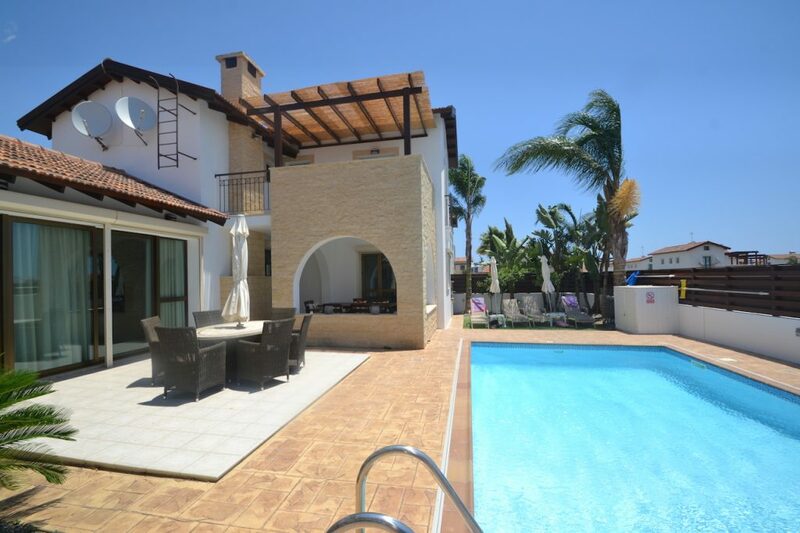 The external design features of Narcissos Villa Thekla is a mixture of both traditional and modern architecture which gives character and adds to the uniqueness of the property. 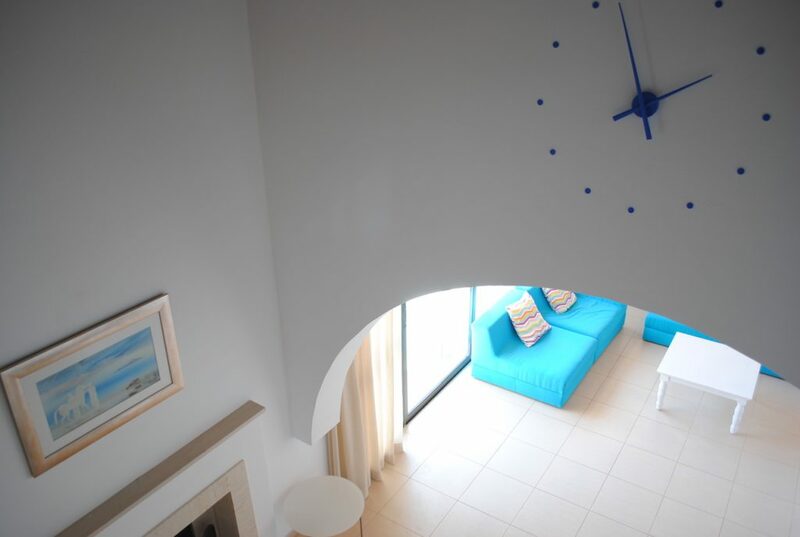 This admirable villa is designed for a relaxed lifestyle and the layout has been carefully planned to provide maximum comfort to our guests. 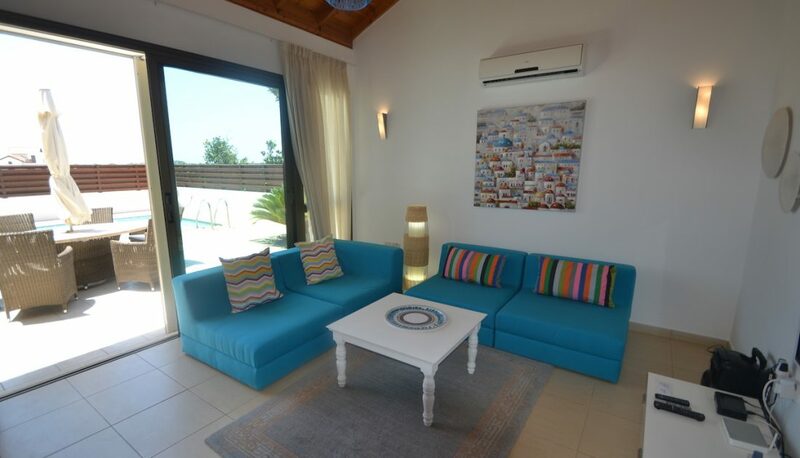 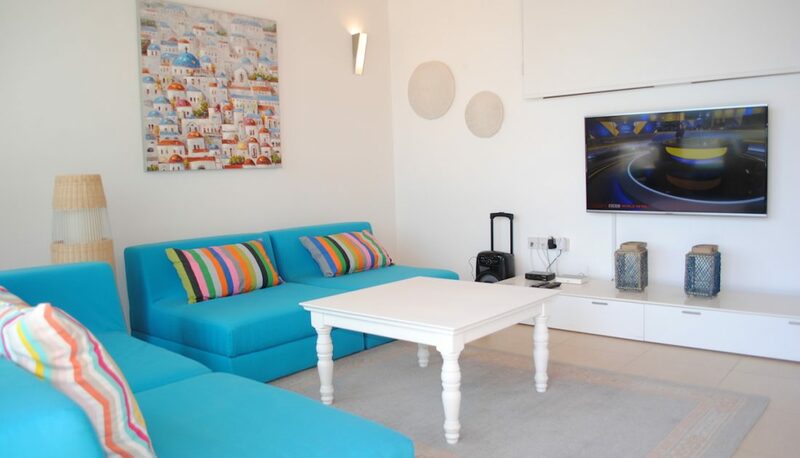 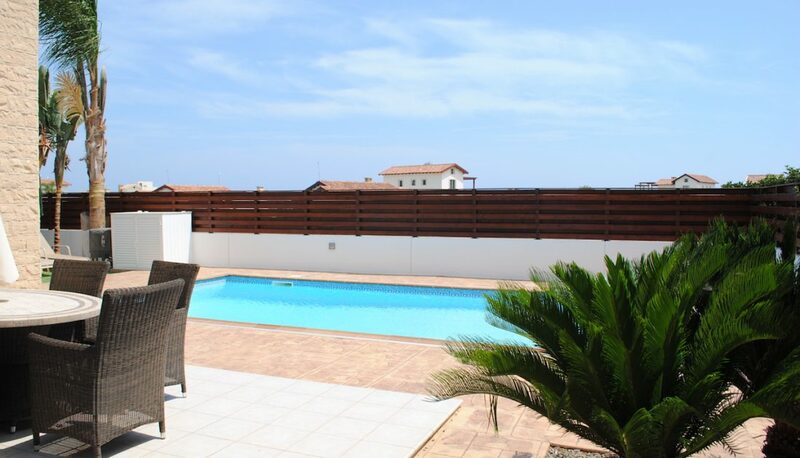 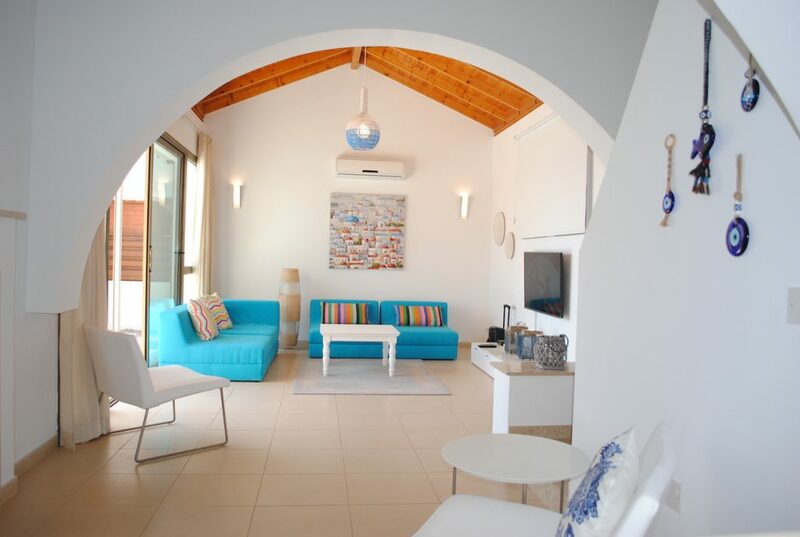 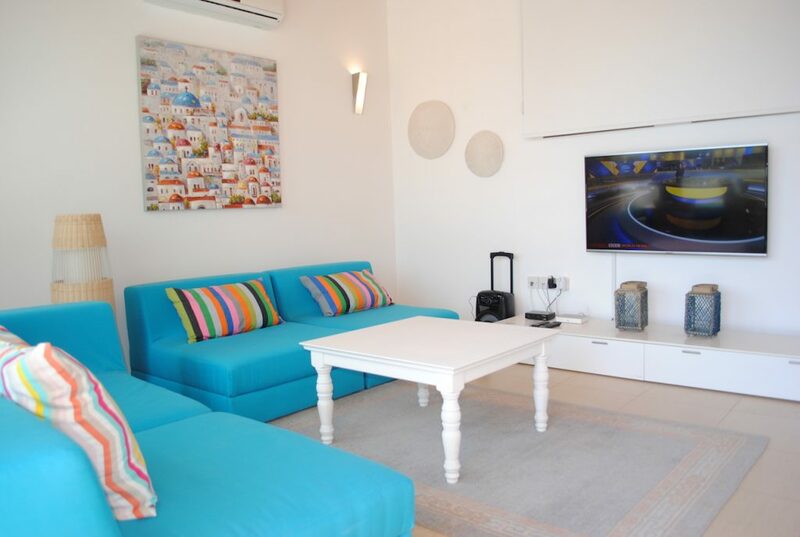 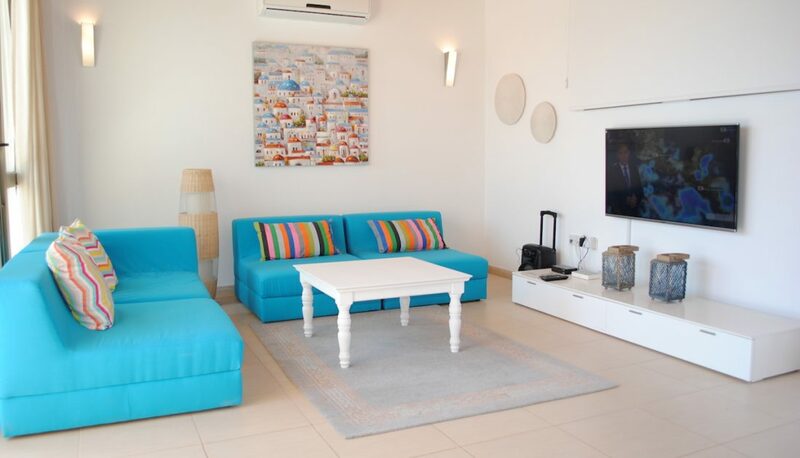 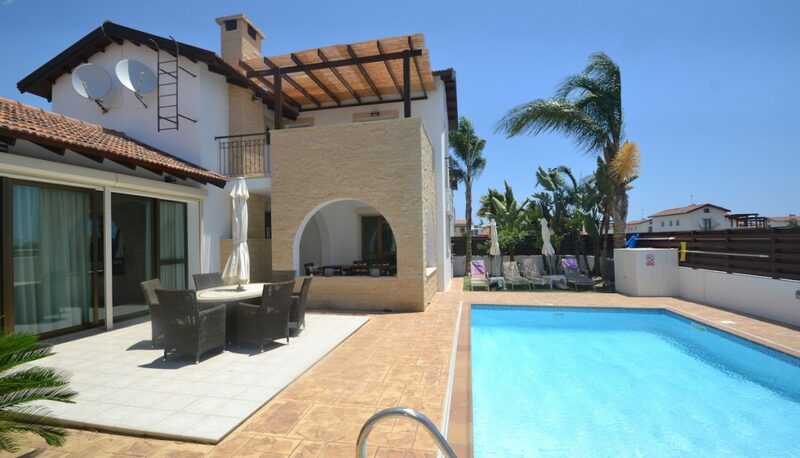 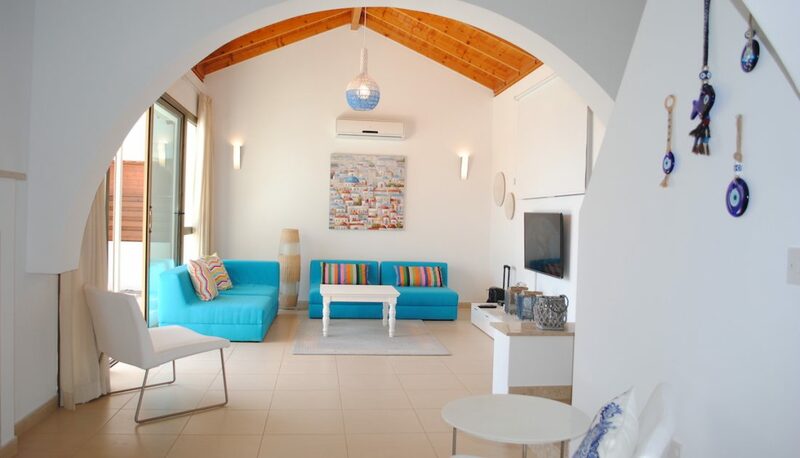 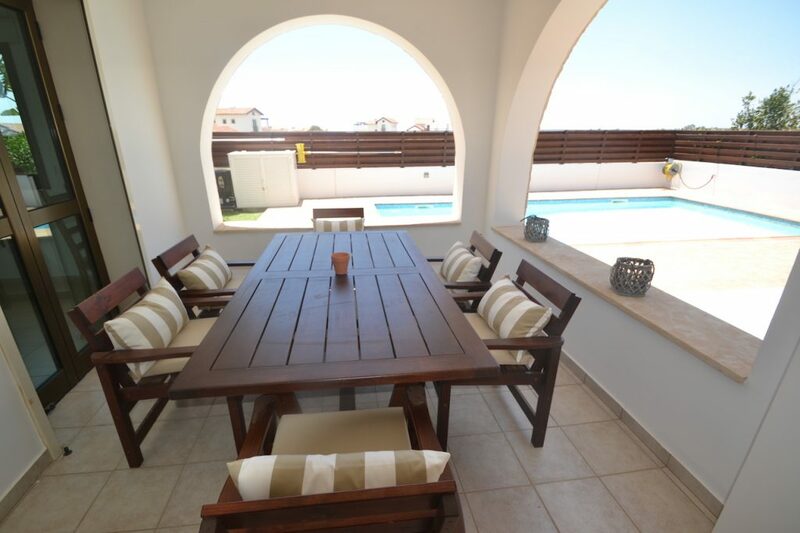 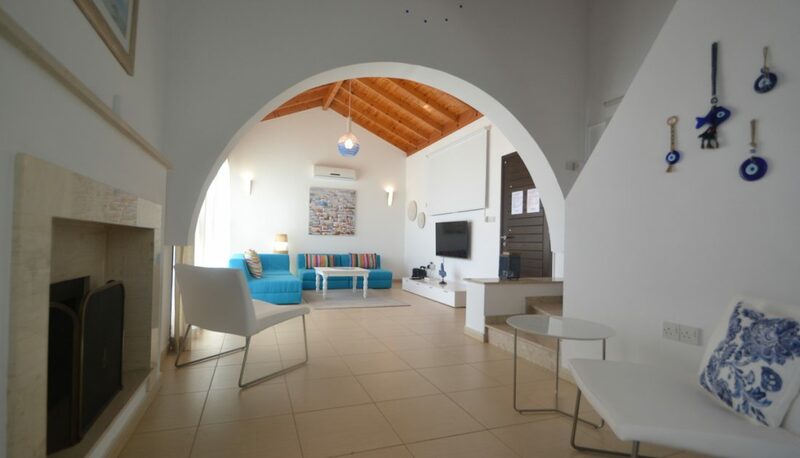 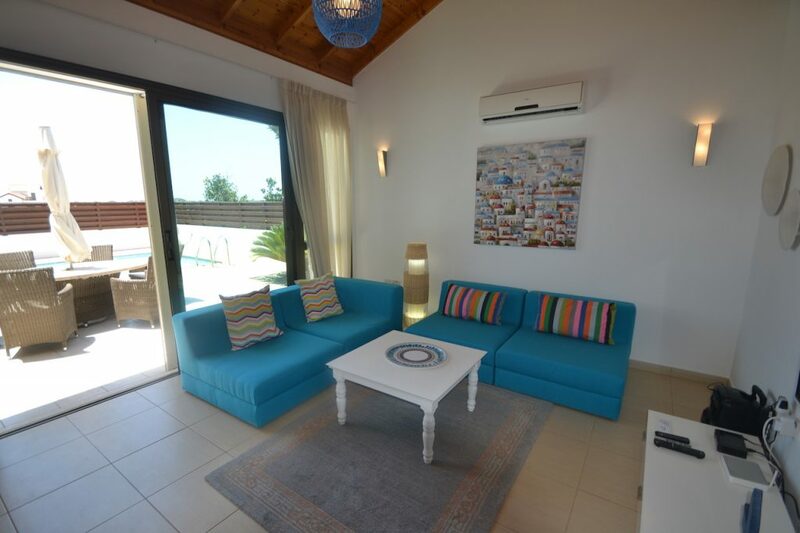 The villa is fully air-conditioned and offers accommodation with private swimming pool (8X4m) sunbeds, and umbrellas. 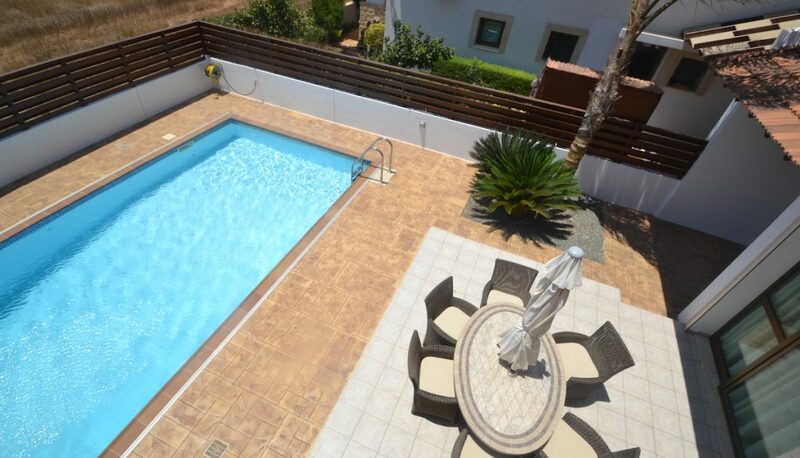 The pool is also heated in the winter months at extra charge. 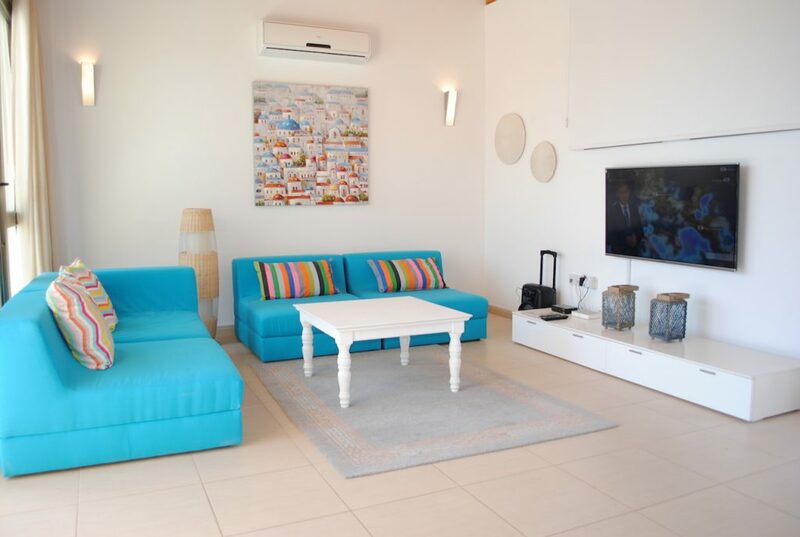 The bright modern open plan kitchen and the spacious living room with a comfortable modern sofa open out onto the swimming pool terrace with outdoor dining furniture. 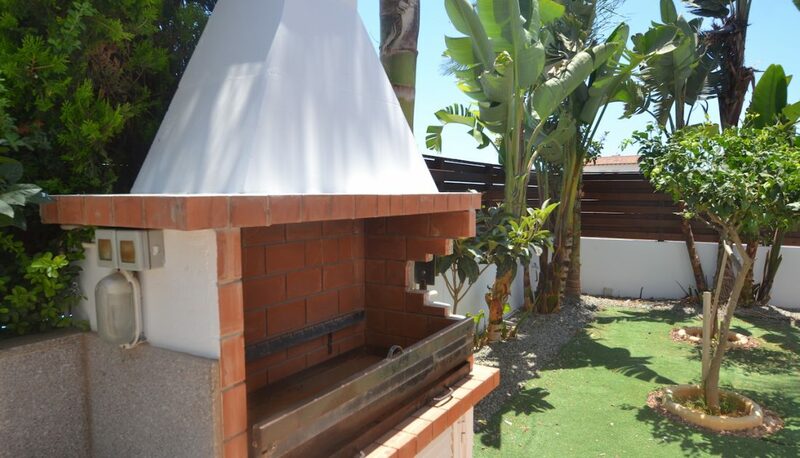 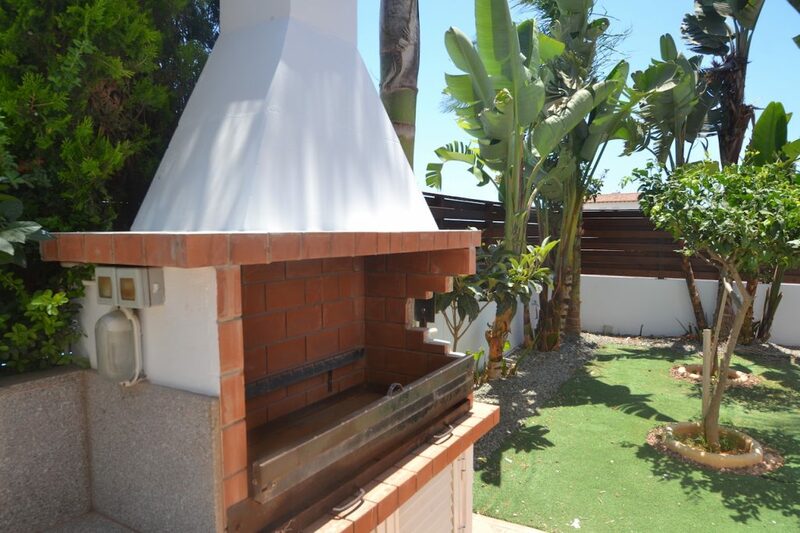 Next to the pool is a built-in stone BBQ. 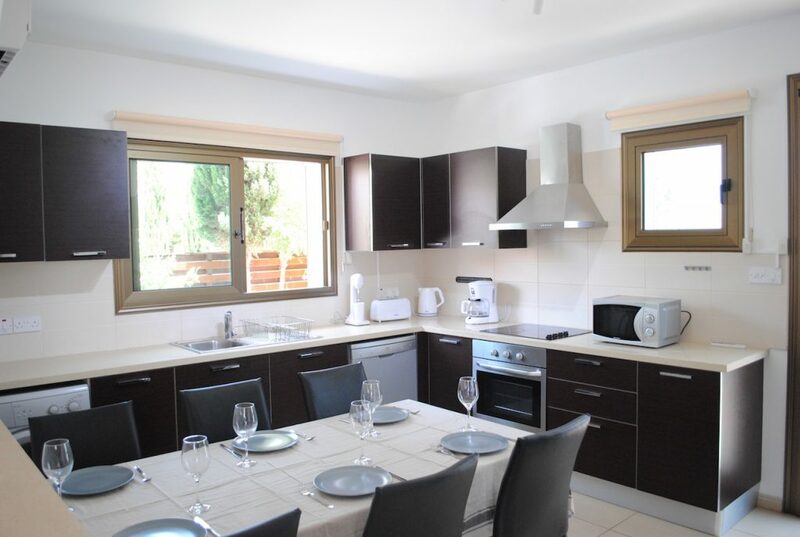 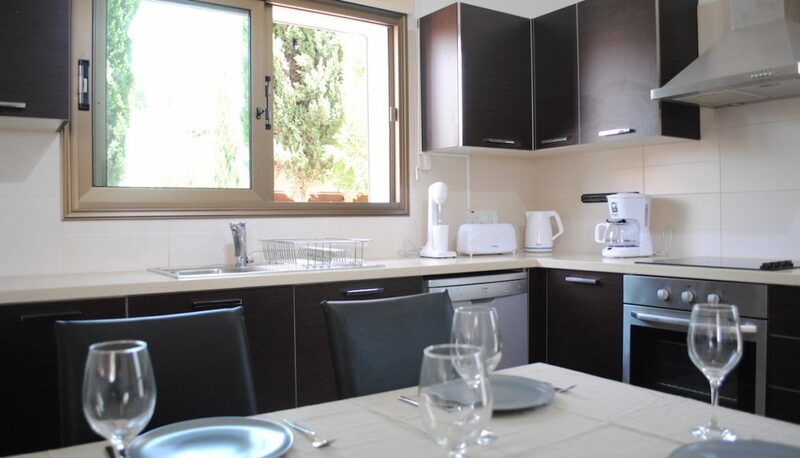 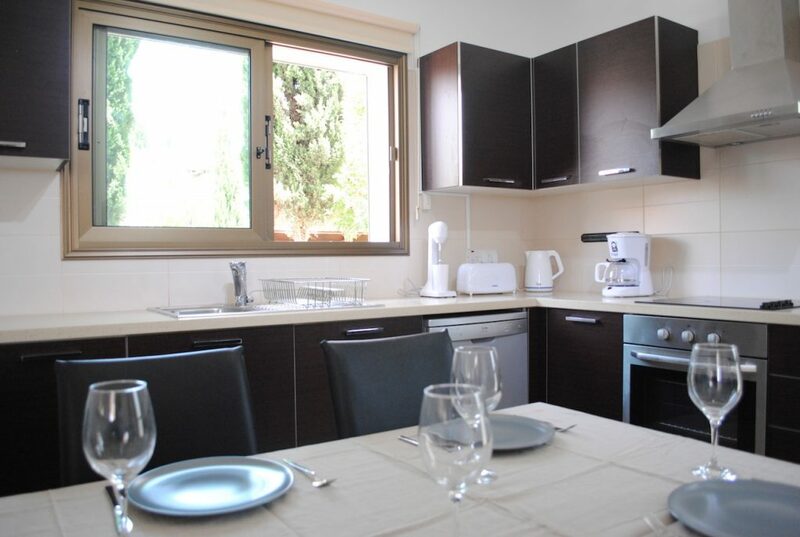 The fully equipped kitchen includes a dish washer, washing machine, coffee maker, shaker, kettle and a microwave. 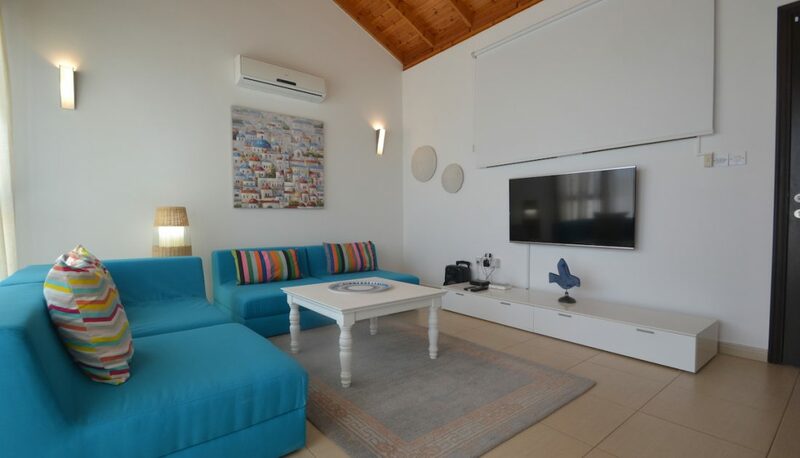 A flat screen satellite TV (English and Russian channels) and CD player, free high-speed Wi-Fi throughout, 2 hair dryers, safety deposit box and iron facility are standard. 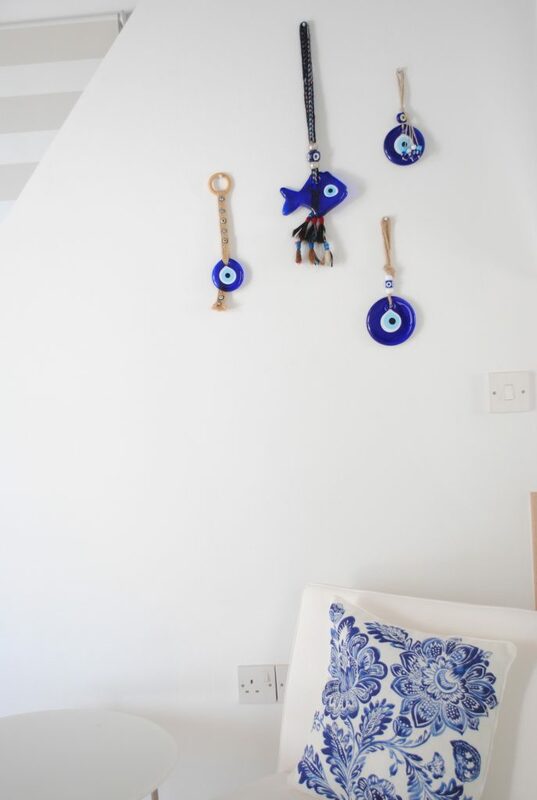 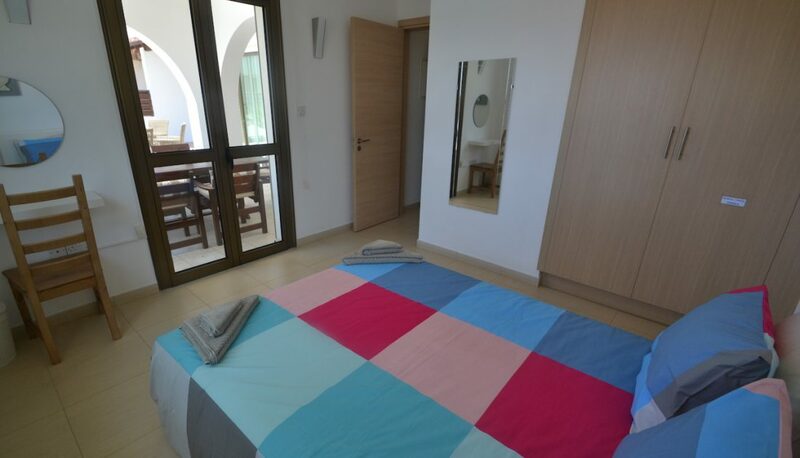 You will find one of the bedrooms on the ground floor (Double bed) with WC, bathroom and shower. 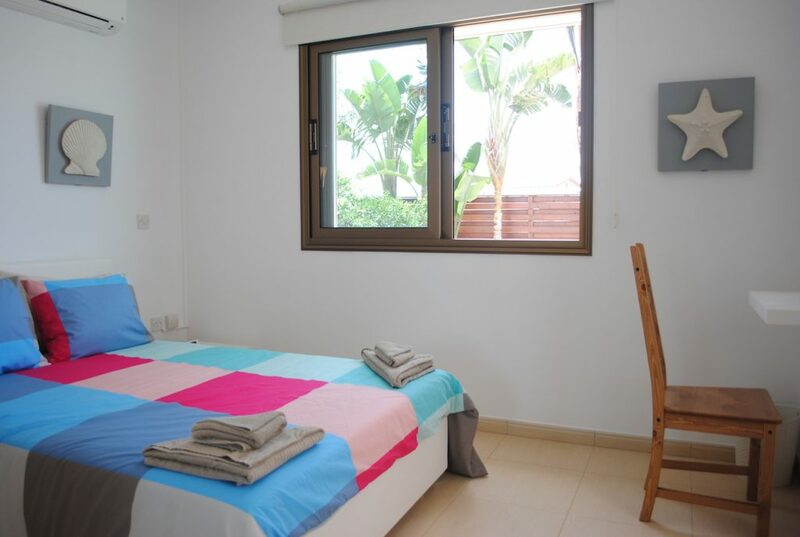 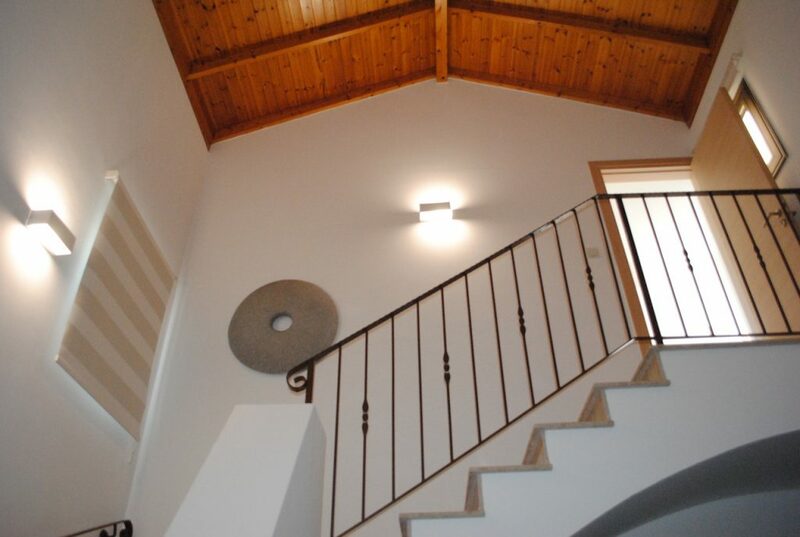 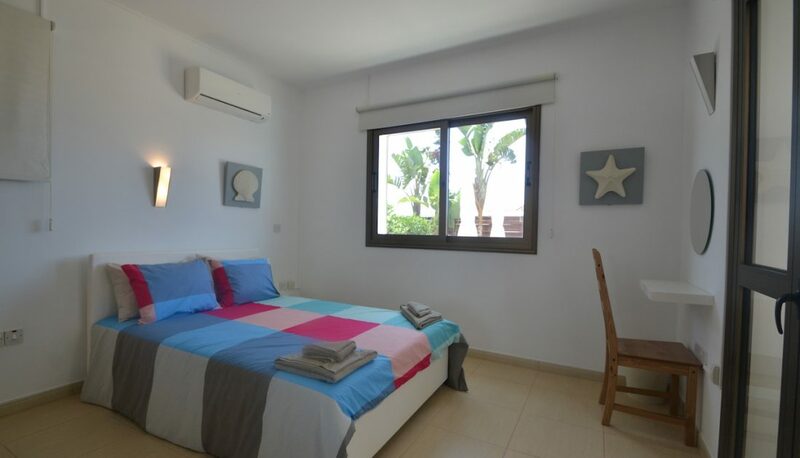 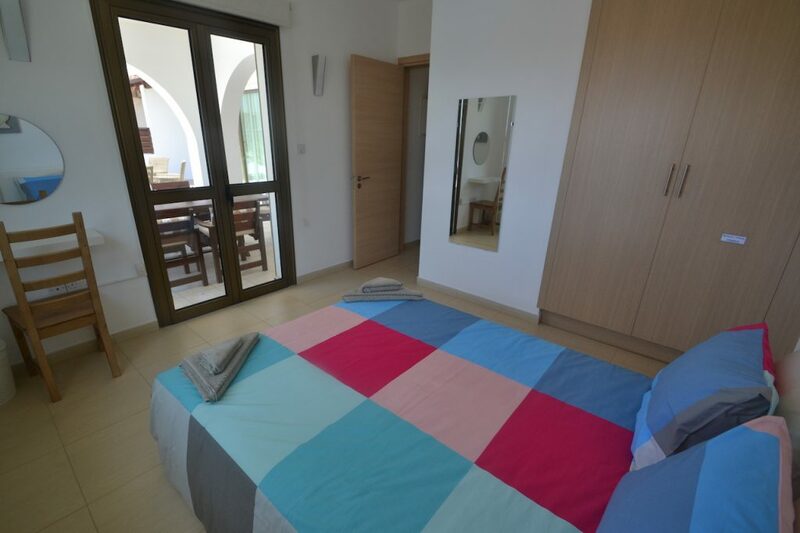 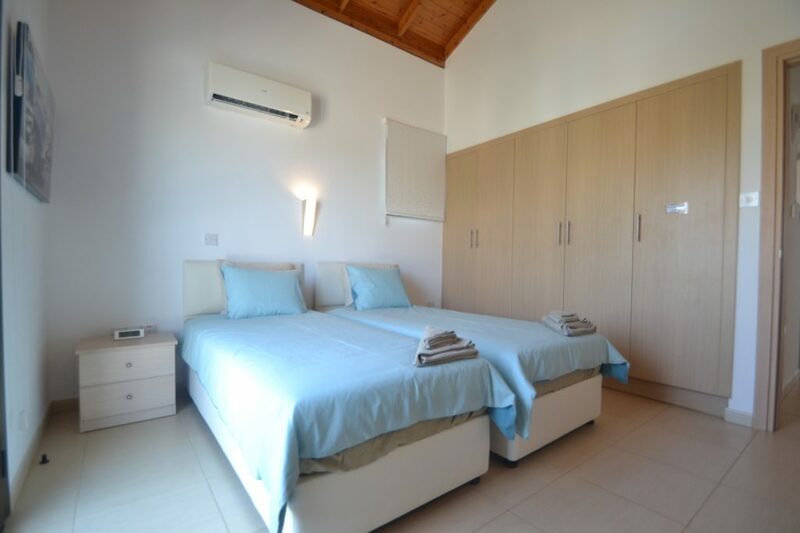 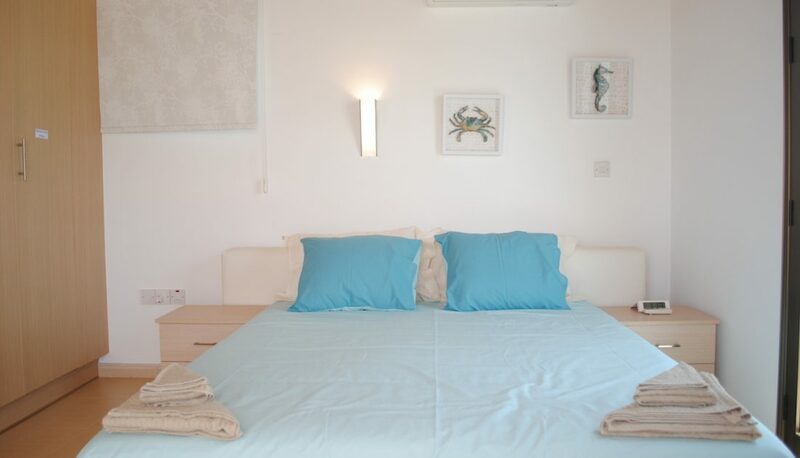 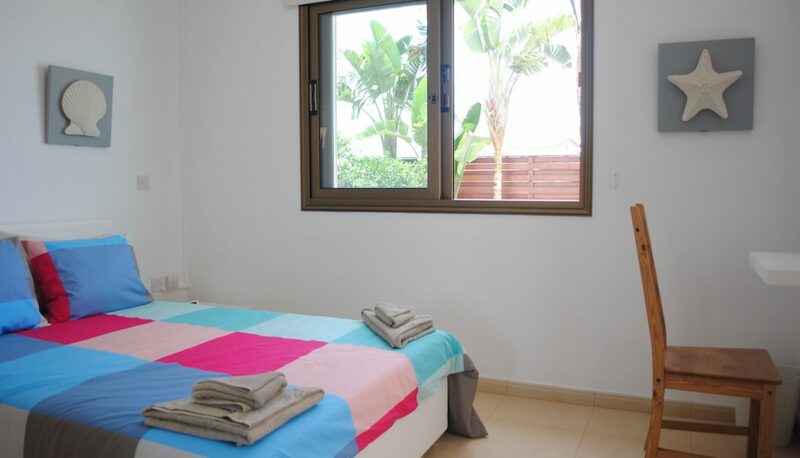 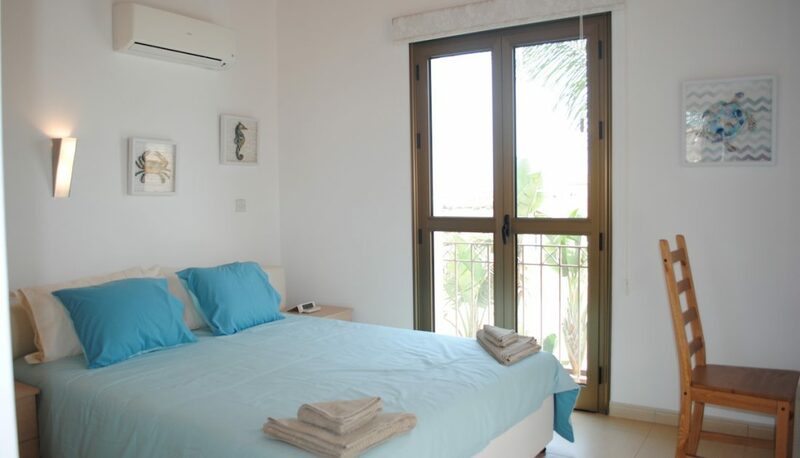 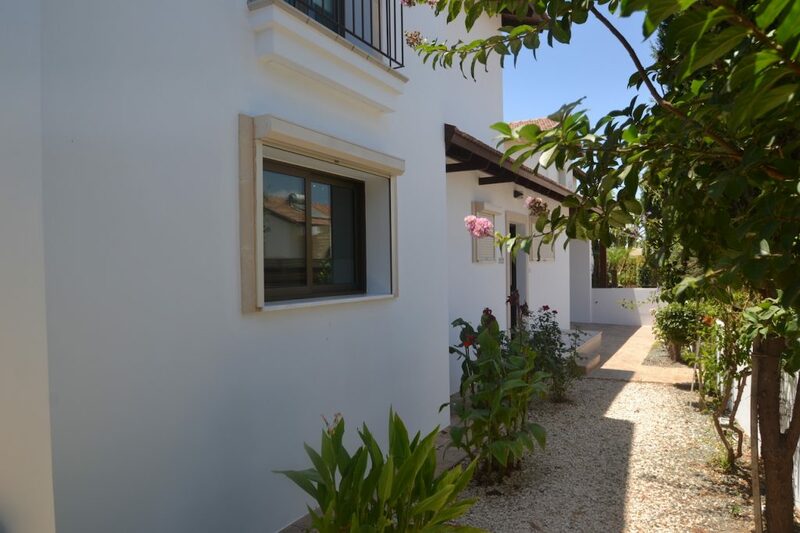 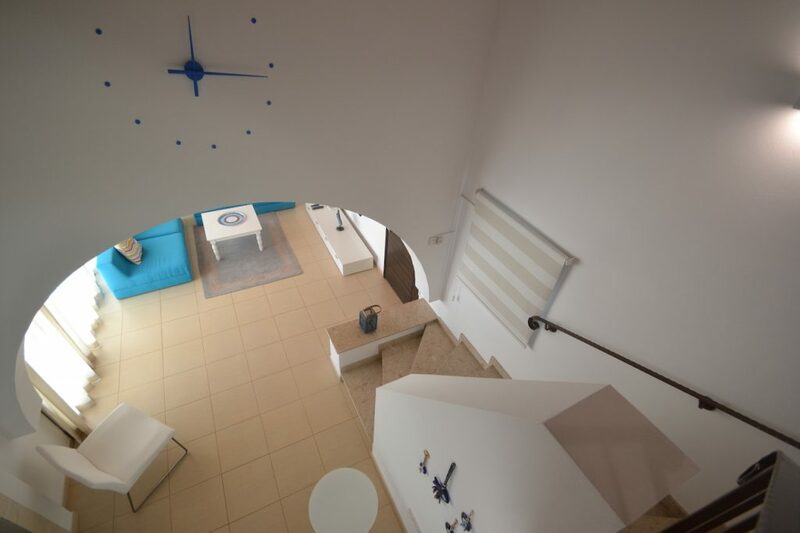 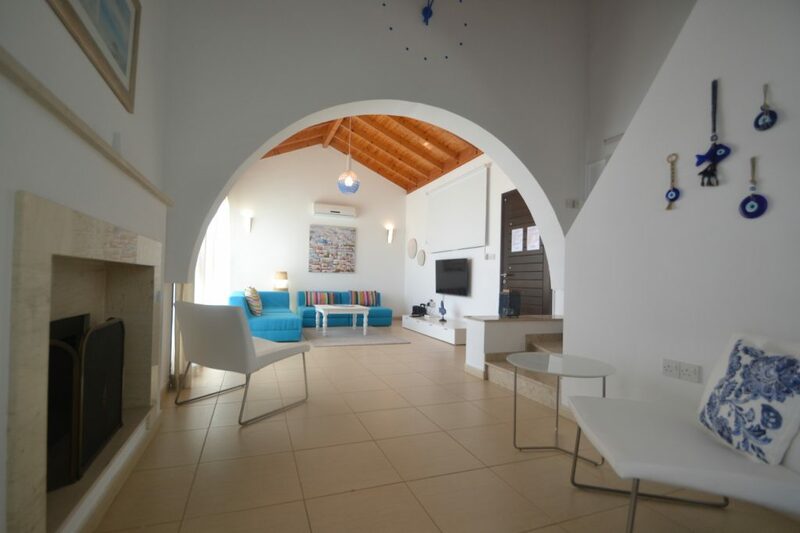 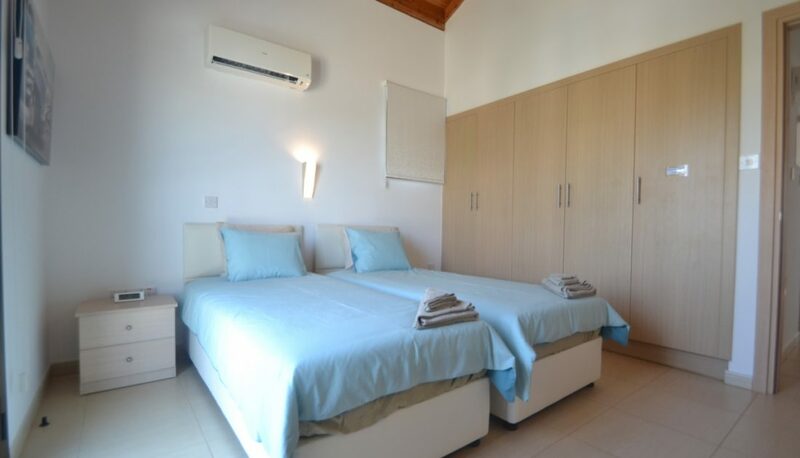 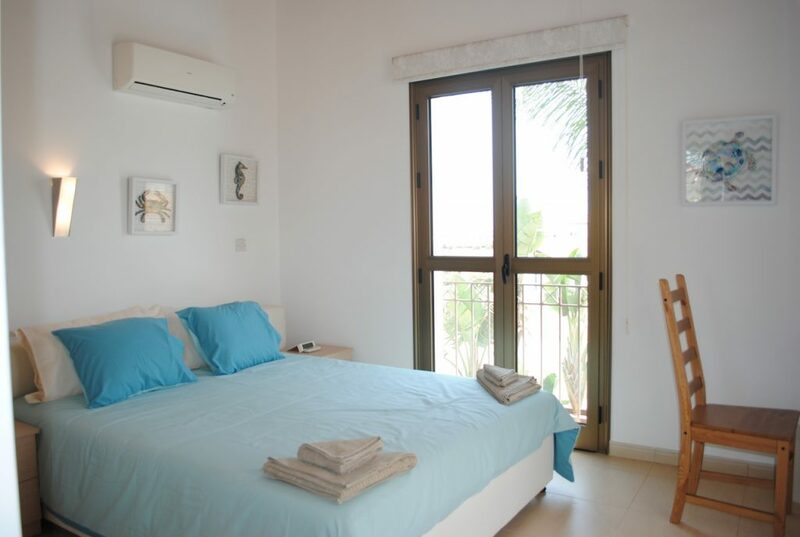 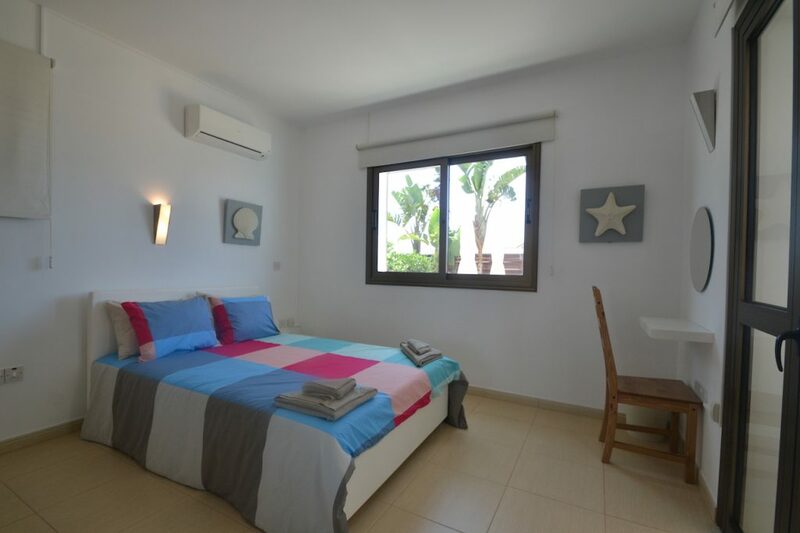 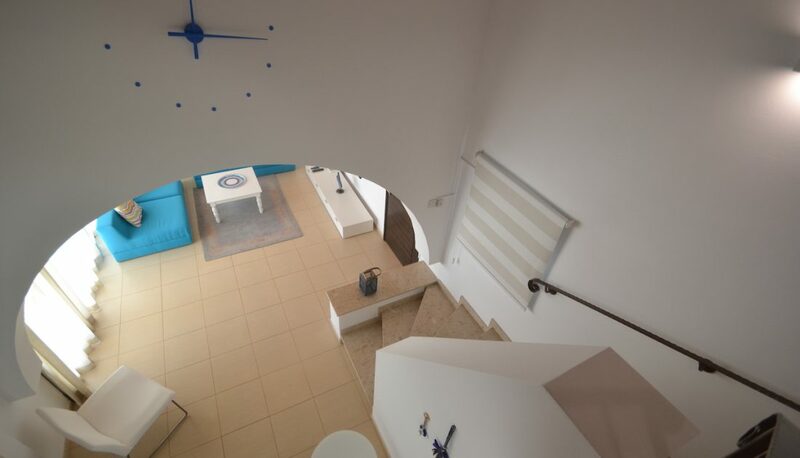 On the 1st floor, the villa consists of 2 additional bedrooms, 1 with double bed and 1 with 2 single beds. 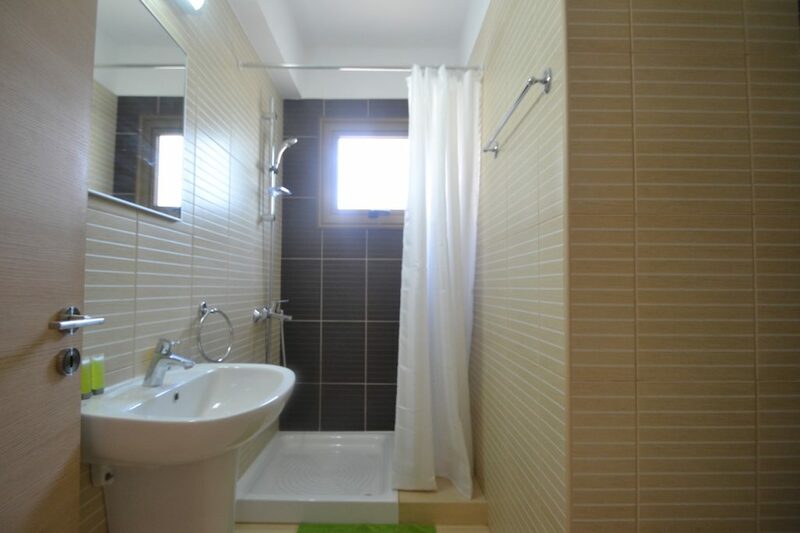 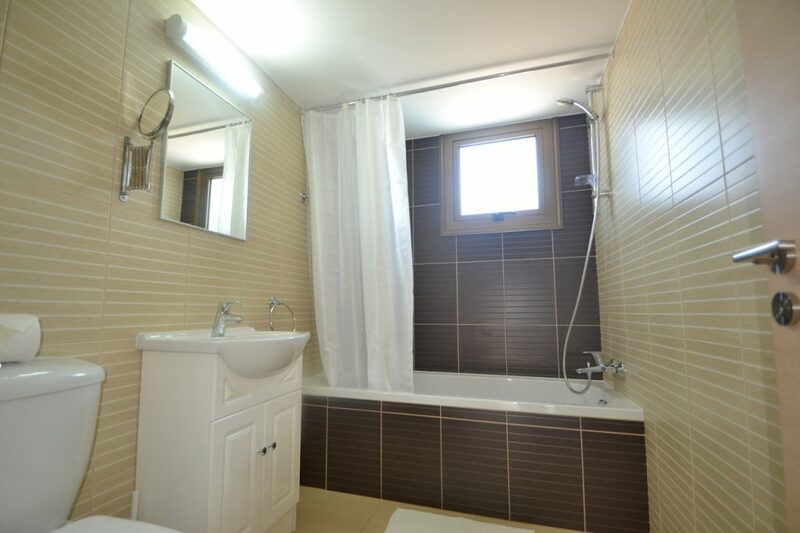 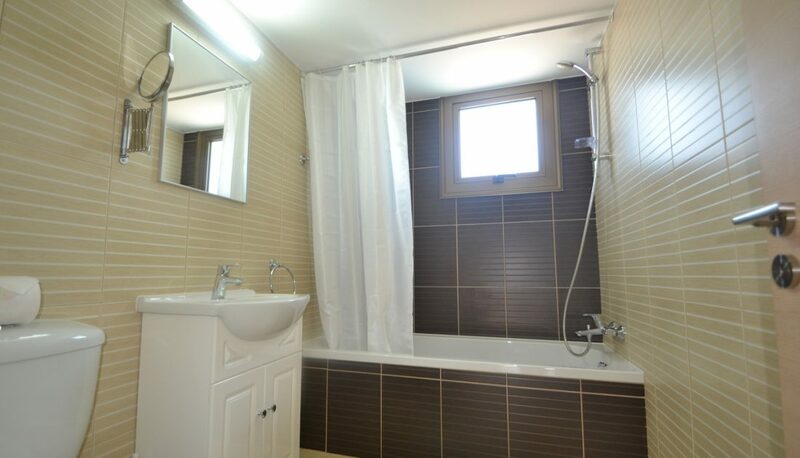 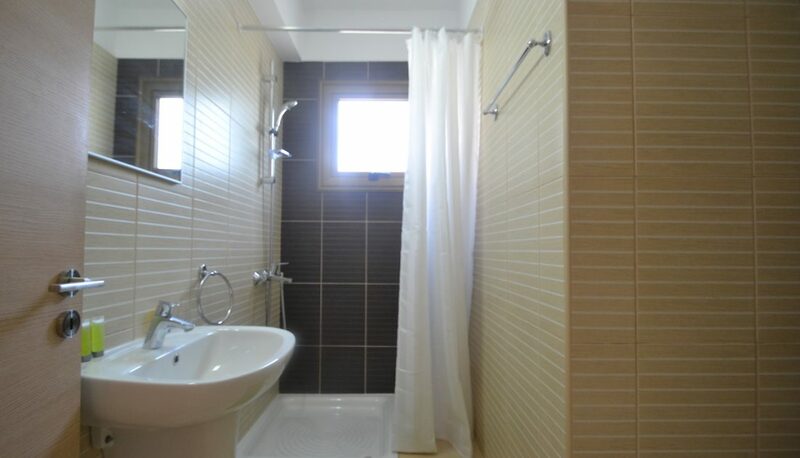 Main bathroom and shower is between the 2 bedrooms. 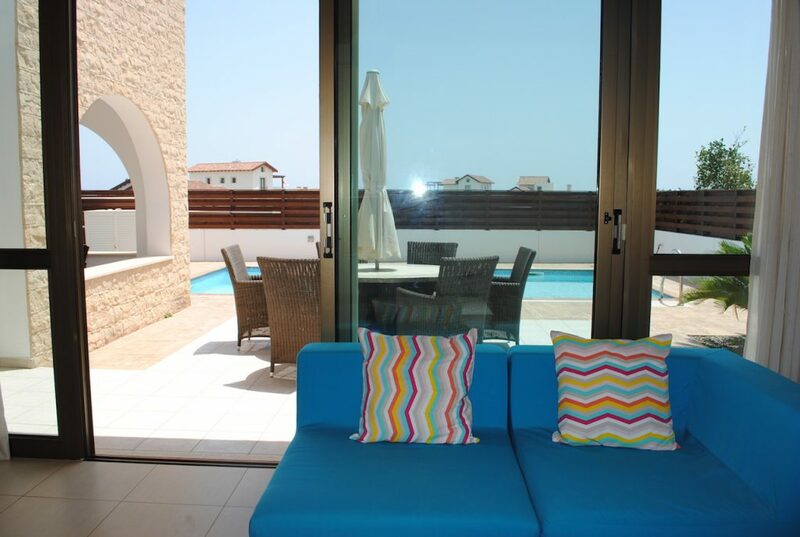 The lovely veranda on the 1st floor is the ideal place to enjoy the views for a relaxing evening. 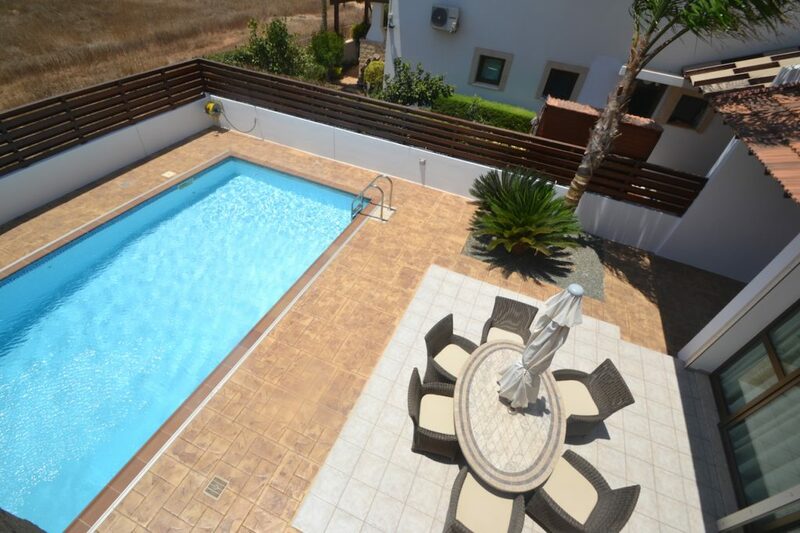 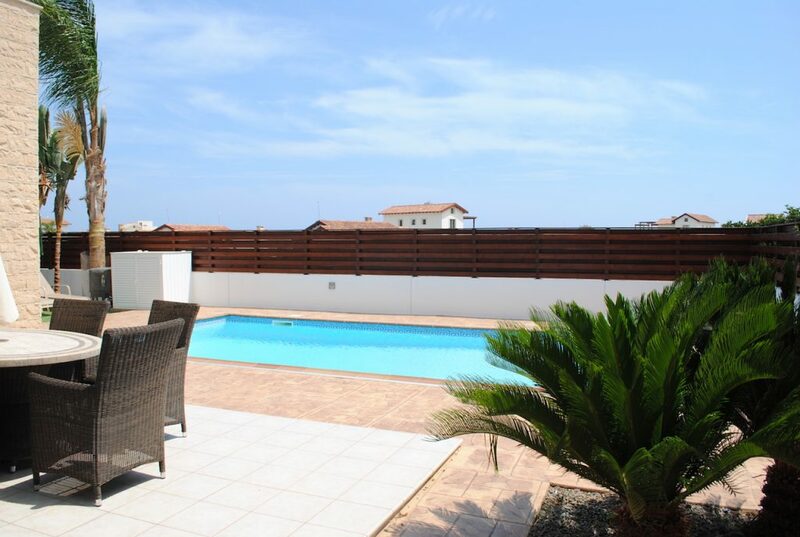 Narcissos Villa Thekla is the perfect choice for your relaxing and tranquil holiday!! 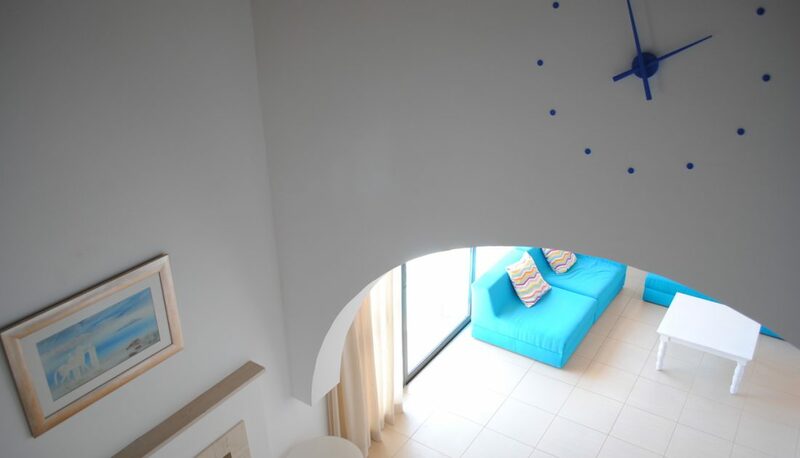 • Check in at 3pm and check out at 10am. 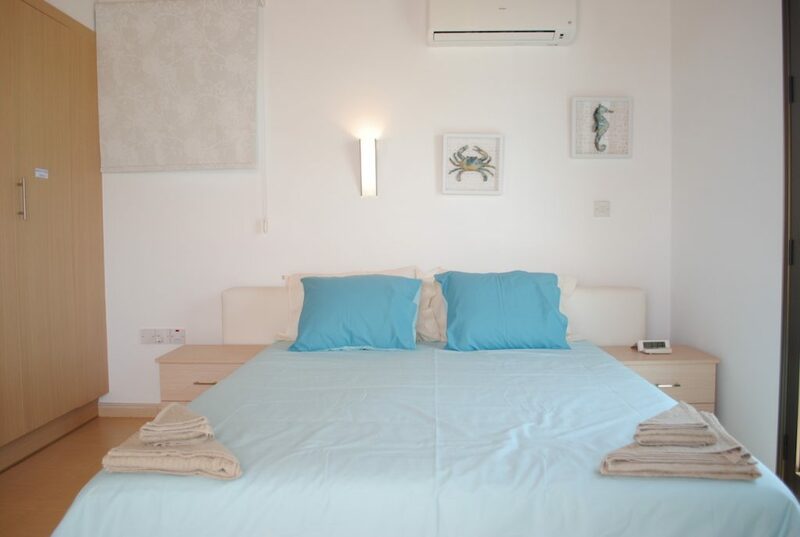 Early check in, late check out are subject to availability at an extra charge. 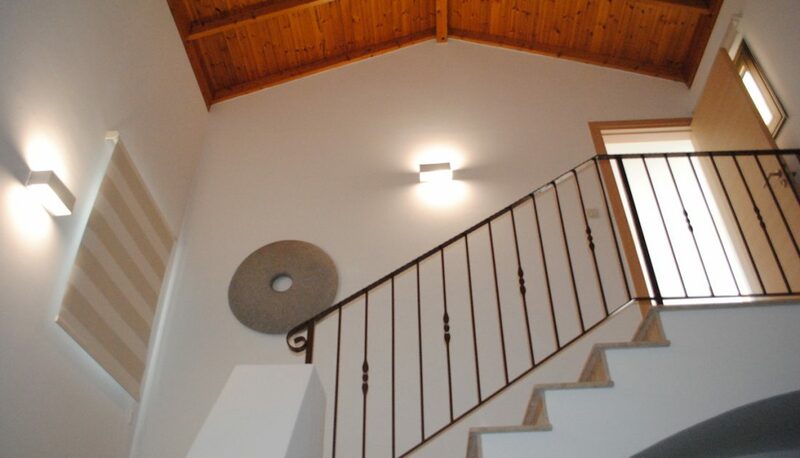 • Electricity consumption for a normal daily use is included in the rate. 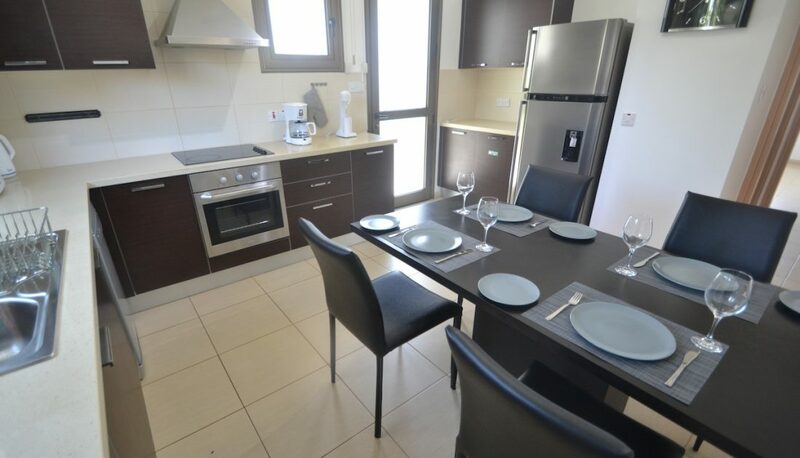 • Extraordinary consumption will be charged extra. 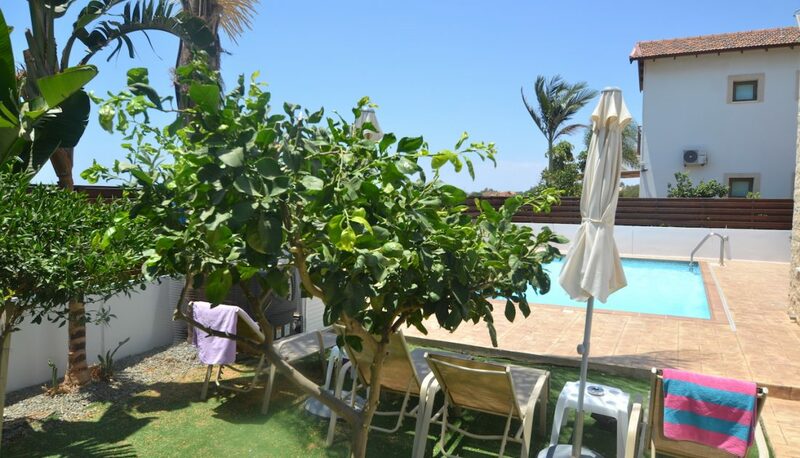 • Open parties not allowed. 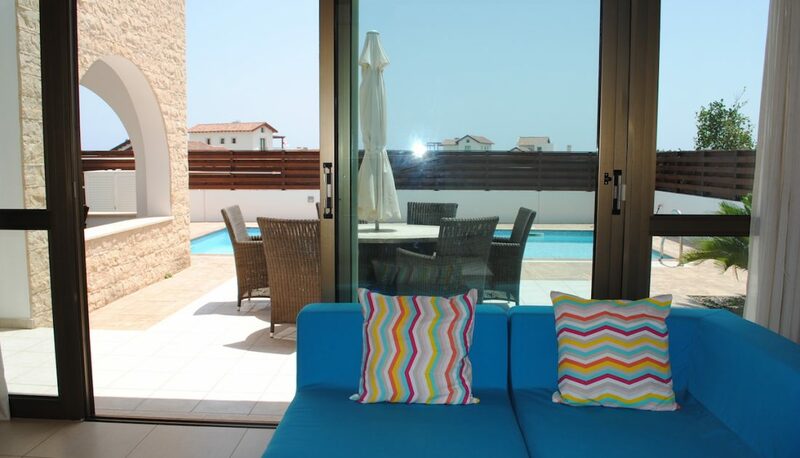 • Outdoor or indoor damages will be charged.